Scrabble purists can relax. News of a new version of the classic word game that Mattel plans to sell in the U.K. allowing proper nouns set off waves of dismay across the Internet. But the official rules fans know and love aren't changing. Scrabble Trickster, due out in July in the U.K. only, not the U.S., will allow proper names such as city or celebrity names. 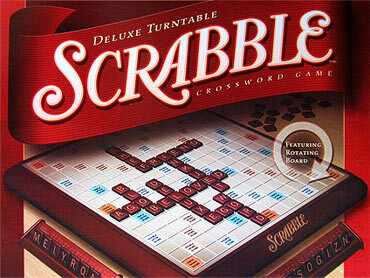 Other twists include playing words backwards or playing words unconnected to others on the board, Mattel said. The game is a limited edition and will not replace the original Scrabble in the U.K. or U.S.
"This is just one new variation," said John D. Williams Jr., executive director of National Scrabble Association, authorized by Hasbro to speak about Scrabble. Hasbro owns rights to the game in the U.S., and Mattel owns it in other countries. The controversy started when U.K. media outlets reported about the new version. In the U.S., where Scrabble is popular not only as a board game but also as an electronic game on Facebook and mobile phones - it's the ninth top-grossing app on the iPhone and fifth on the newly introduced iPad - the articles were widely shared online and outrage spread. Michelle Cloud, 42, saw postings about the game Tuesday on two of her friend's Facebook feeds. The White Fish Bay, Wis., resident, who has been playing Scrabble since she was 8 and now plays mainly online, was relieved to hear that the official rules aren't changing. "Scrabble is supposed to be a challenging game, and if they allow proper names it wouldn't be a challenge anymore." The game strikes a chord with people, Williams said. "It's such a part of the fabric of American life," he said. "It's about people's love of words, it goes very, very deep. Certainly in our culture in North America you really don't see this with any other game." Scrabble was invented in 1938 by an out-of-work architect named Alfred Butts in Poughkeepsie, N.Y. More than 100 million sets of the game have been sold in 29 different languages, according to Mattel's Web site. As board games increasingly compete against video games and electronic devices, toy makers have introduced more variations, usually in limited editions, to keep them interesting. For example, in 2008 Hasbro, based in Pawtucket, R.I., introduced a new version of Clue that included younger characters and gave them first names - Kasandra Scarlet instead of Miss Scarlet - more weapons and new rooms including a spa. Last year they put out Clue: Secrets and Spies that incorporates text messages into the game. Hasbro has introduced many Scrabble variations, including Scrabble Slam, a card game, and Scrabble Flash, an electronic version using blocks that click together, due out in the fall. They haven't hit the same nerve among Scrabble fans.